We have so much to be grateful for in our lives. I am reminded of this every day of my life. I know that there were times when I may have not felt that way as far as feeling grateful on a daily basis. Before coming up with the subject of being grateful for all we have, I was looking through Facebook and the post blocks on my page. I came across this page block that said. And so I thought I would write about this concept of being grateful for all that we have, even when we think we don’t have anything, or life is very stressful, and we find it hard to find peace or joy in our life. It is almost as if the stressful feelings which could be frustration, anger, resentment, feeling ignored and feeling worthless, etc., that the last thing we want to think about is being grateful, for all we have in our life. Its like are you kidding me? I have nothing to feel grateful for, so I have no interest in making this grateful list. And then I hear in my mind, so you didn’t get your own way, so why be grateful? Like the feeling is just so focused on this feeling on the negative feeling we experienced and we are just going sit in that black hole of whatever, u are feeling. So is this a grown up version of a temper tantrum, or pity party of one? I was working with a life coach a few years ago, and it was suggested that I start to write ten things I am grateful for each day. Starting out was a bit hard. The first few days, I was able to think of at 7 things to be grateful for, not 10. I kept that date with myself each night and I found that as I was writing this nightly grateful list, I was writing down things, that we all take for granted. Like a sunny day, a warm day, a rainy day, that was badly needed because there was a drought, food on my table, and for my husband, my parents and siblings and my in-laws. Being grateful for the car, I am able to drive each day, to work, and for the job, I had and for the people that I worked with. For a roof over my head and for clean clothes to wear each day. As I was writing the list each night, I found I was writing more than ten things I was grateful. I realized that writing this list was helping me to see how the the universe, our Source and higher power was truly there for us. I also found that my apathy of what I thought my life was all about was my limited thinking. I do have a lot to be grateful for and my demeanor, and sense of peace and joy, was beginning to comeback. I stopped comparing myself with others as I had done pretty much always.. I was just so grateful all that was in my life at that time. I was also becoming more aware of the poverty; mistreatment of people through beliefs and through lack of funds and violence had ruined so many parts of the world, and was continuing to do so. My grateful list became my mantra and it became my focus point on what the universe has blessed myself and family with. I was finally beginning to understand that it all begins with myself in being grateful for what I have, and to begin this daily grateful list with a feeling of loving and being accepted of who I am and being grateful for all that I have been given from the universe. When we begin with Self-Love, the love emanates to all who we come into contact with on a daily basis. The grateful list helps us to feel this concept of acceptance and love of who we are.. And whatever was bothering us a few days usually goes away. Coming to this place of gratitude, helps us to help other in a positive way, for we are all teachers and students on all aspects of our life. Another way or version of feeling positive about who and what we do is make a habit of writing three things we have accomplished each day. Keeping it all on positive note and going to bed knowing that the day was full of joy and constant place of total gratitude and not in vain. Taking this time each day, to do write your creative writing, know that the universe is always with you at all times. And lastly that you are truly grateful for all that you have in your life, today. This post says it all to me in a nutshell. When we ask the angels for help, it is given to us, even if we feel that nothing is happening in our lives. We sometimes think that because a wish or a goal, we may have for ourselves or others and nothing is happening that the angels are not there for us. They are teaching us patience at all times, and when we trust their guidance miracles can happen. The vision or goal we have for ourselves may not be what we thought it would be or it will be exactly what we thought it would be. It is always for our highest good. They love to teach us lessons along the way too. And they will let us fail and they will help us to succeed at all the same time.. When we fail it maybe because we need this lesson to progress or change our path a bit in order for something better to come along. The angels teach us to be open to change in our lives, and to help us with forgiveness. They want us to take the lead in the positive moves for our lives and they will be behind us watching our back and keeping us safe…So look for the signs in all that life brings to you. Trust that when nothing is happening or occurring as fast as you think it should happen that there is a reason The angels also say that patience helps with the process of day-to-day living and planning for our life’s journey. The angels want to us to enjoy our life’s journey and to accept the failures and accomplishments.. Both are important for us to see and grow from..
Good morning to you and how are you doing this morning? What more can you tell me dear Archangel Michael about our individual calls and our participation in the call to serve others as light workers? The coming together of the goddess power is what a lot of what this all about.. You have been working in your jobs and you have been bringing up your children and getting married, tending to your families. You have been living a normal unassuming life and now you feel a call and feel the need to reaching out to others around the globe. 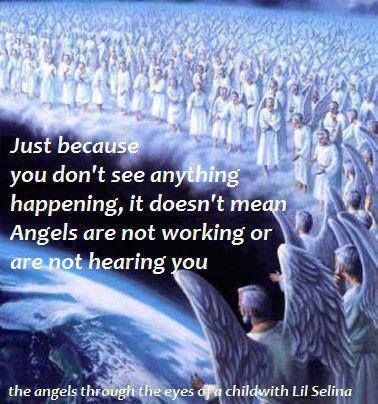 To see this happen from our perspectives is a dream come true from an angels point of view.. The amount of time you have put in reading and studying of healing and other spiritual studies/development is amazing. Doing what you are doing and making the connections you are making is all a part of the call you have all been hearing these past years. 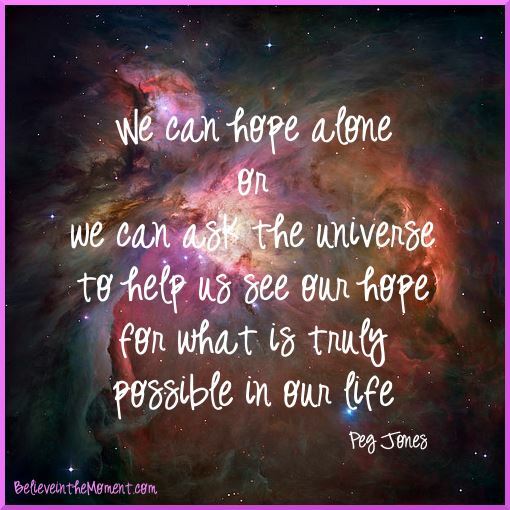 When you think of where you have all been say ten years ago, or five years you can see where you have felt the calling.. All are on a personal journey and the connections have come as you find you are reaching out more….is all part of the calling.. Speaking of your gifts and sharing them, and living in your truth and sharing the knowledge that is being given to you will help to heal the world on an energetic level. In raising the vibrations of the feminine goddess energy the healing will start to take place as it has begun as we speak. Working together and keeping the energy at this higher vibration will shut out the energy that is not of true use for the planet. We can not leave the men out of this awakening of sorts either. There are also many men who have woken up and have made personal changes because of the call they have felt too. Working together and accepting the gifts each has to offer will make a most harmonious planet. Are you up for the work that is at hand and can you do your part in helping with the call of the Universe. All healers are called to this and we welcome you to do what you feel is your call at this particular time. You are protected and you are very much loved by myself and others entities of the universe. Working out of love and sharing the best of what you can contribute is all we ask of all of you. Letting the negative go and cutting these cords of that will help all in doing the real work that is at hand. Six Ways You Can Share 12-21-12 with Your Children. The newest rumor going around the schools this week is that the world is going to end in five days. Kids have lots of questions about the end of the world, and some are very scared, of this happening. So much has gone the past two weeks in our world, and the children need to know everything is going to be ok..
As parents and teachers, caregivers of children, we need to help children to not feel this gloom and help the child to think of the positive aspects of the day. The media talks about it and books talk about the end is near, then there is their friend who think and talk about how the end is near too. All of this talk is really taking a toll out of some kids. There could be acting out, and there could be a lot of procrastination too. Not wanting to go to school, or doing their jobs around the home, not wanting to their homework, not eating correctly, and not feeling too motivated life in general. It is pretty obvious how high the energies are these days. People are finding it hard to cope in many ways. Our children pick this up from the adults and they are feeling the effects too. After the horrific shooting in CT, last week, and the emotional effects this has had on everyone, we need to take the time to hug our kids and give them big kisses and tell them we love them. After some thinking about this and talking to others who have young children, I have come up with some ways to help children cope with the rumors and silly talk of 12/21/12, that on the tv and the radio. The Mayan calendar is ending not the world. The Mayans could not see beyond this date. This was 26,000 years ago and that is a long time to see in the future, since most of us don’t see beyond 6 months at a time. Each child could make their own calendar for the next year, through coloring on the top for each month and they put in their activities they do for school and home. The calendar can be a premade calendar that they can design for themselves. There could be a discussion of what we are grateful for. They can make posters and you can make up a list that encompasses everyone’s contribution to the grateful list. Make it a weekly or daily practice to talk about what each family member was grateful for. Random acts of kindness. Talk to your children or class about doing random acts of kindness. Ask for examples of this. Then give them three pieces of ribbon a yellow ribbon. Ask them to think of three people, they would like to do a random act of kindness. At the end of the day, they can talk about what did for random active of kindnesses to others during the day. The fun thing about these activities, is that they cost very little money, except for the materials needed; and they may already may be somewhere in the house. There will be needed time to get the calendars together, but the older kids can help with copying the blank calendars. You can also talk about the placement of the earth now after this day of 12-21-12. The earth has never been in this position before in the universe. You can do research on the internet about this and then gear the understanding of the information according to age and development of your child. Making this a day of wonderment and of going forward is what the children need to hear from the adults. Spending the time with our children assuring them, they are safe is so important. Adults can get so caught up in the dramas of their life that, many times it’s the children that get left behind. Hug your child today, let him know of your love for him and help him to feel safe and secure by doing this. These activities can be done with kids of all ages and adults too. Make this time of togetherness, and joyful interaction.